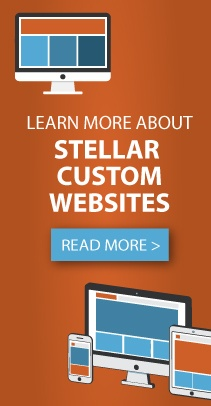 Stellar Blue Technologies, a Fox Valley, WI digital marketing firm, has launched a new custom website for Assumption Catholic Schools of Wisconsin Rapids. The close-knit catholic school prides itself on providing students with academic, emotional, and spiritual well-being that helps them build a solid foundation on which to further their relationship with God. We are humbled to have played our part in revamping the look and feel of their presence online! A welcoming feel that grants the reader insight into the congregation that makes up Assumption Catholic School. The website largely consists of an erudite blue and pure white color scheme, and rotates through pictures of students, events, and services. The homepage offers readers the opportunity to find out more about the culture of the school, enroll in classes, and figure out what supplies may be needed for the upcoming school year, among other things. Also offered is an event calendar, news, and testimonials from parents of current students. Toggle menus on the sub-pages make navigating the site and finding the information you need easier than ever. The updated blog and calendar make it simple to stay up-to-date and connected with the community. Assumption Catholic School strives to inspire excellence and personal growth in its K-12 Students, grounded in Catholic principles and tradition. Their new website will help them further their mission of building strong students, families, and communities by making it easier than ever for site visitors to find out more about the school, enroll, or get connected with staff.